Nelle travel agencies, as well as in public offices and many other types of assets, the merchandising and the exhibitors for books play a key role, because they present the material that interested potential customers. In order for an Exhibitor Brochure holder carries out its role in an optimal manner, must be constructed so as to expose the brochures and the brochure in a clear and attractive. 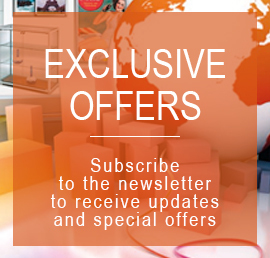 All this is well aware of Pavin, who offers a wide range of brochure holders and ticket wallet. 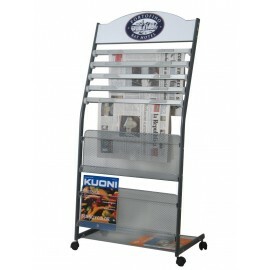 Description: Newspaper and magazine holder display stand, with metal frame and shelves in plastic microfibrata. 5 hollow shaft, 1 pocket, 2 shelves. Based on wheels. Perfect for newsstands, hotels, libraries, etc. Dimensions: 63x36x105h cm For more information, call 049.8710777 o compila il modulo sottostante. 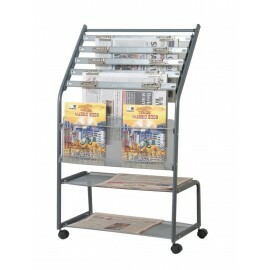 Description: Newspaper and magazine holder display stand, with metal frame and shelves in plastic microfibrata. 5 hollow shaft, 1 shelf, crowner customizable. Based on wheels. Perfect for newsstands, hotels, libraries, etc. Dimensions: 63x36x133h cm For more information, call 049.8710777 o compila il modulo sottostante. 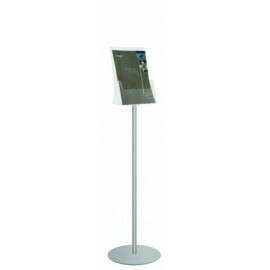 Description: Is a high floor 138 cm, brochure holder with aluminium frame. Comes with 7 pockets A4 size wire for inserting brochures 21x30h cm format. Unbeatable price! EXTERNAL DIMENSIONS: 28x36x138h cm For more information, call 049.8710777 o compila il modulo sottostante. 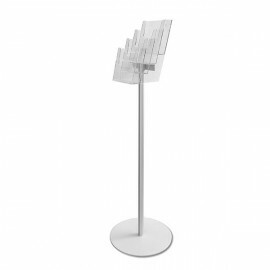 Description: Is a high floor 138 cm, brochure holder with aluminium frame. 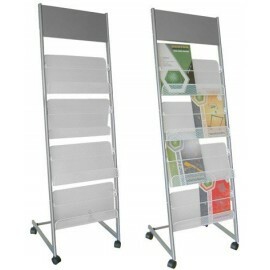 It features 8 pockets A4 size wire for inserting brochures 21x30h cm format. Based on 4 wheels. Unbeatable price! EXTERNAL DIMENSIONS: 29x37x138h cm For more information, call 049.8710777 o compila il modulo sottostante. 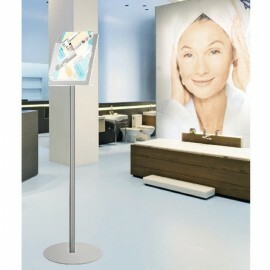 Description: Is a high, 138 cm from pavimentogirevole brochure holder frame in aluminium. 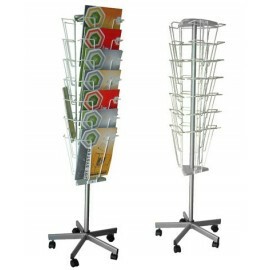 It features ben 21 pockets A4 size wire for inserting brochures 21x30h cm format. Based on 5 wheels. Unbeatable price! EXTERNAL DIMENSIONS: 45x45x138h cm For more information, call 049.8710777 o compila il modulo sottostante. 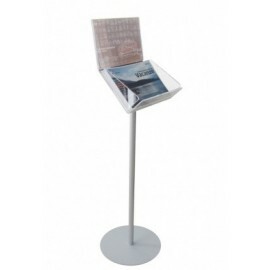 Description: Is a metallic material, with brochure holder 4 pockets horizontal A3 format. The pockets let you put the brochure of different formats. Based on 4 wheels, that make it easy to move. Unbeatable price! EXTERNAL DIMENSIONS: 44x38x138h cm For more information, call 049.8710777 o compila il modulo sottostante. 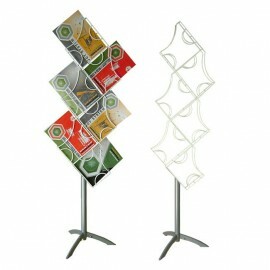 Description: Economic floor brochure holder, the particular structure in the shape of a tree, comes with 6 pockets A4. Steel channel silver painted wire pockets, white painted Dimensions: 40x39x159h cm. Last few pieces available. For more information, call 049.8710777 o compila il modulo sottostante. 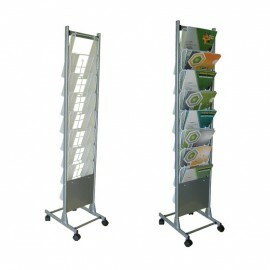 Description: Is a self-supporting floor with 1 pocket brochure holder for leaflets a5 (15x21h cm). Round base painted silver, diameter 35 cm. Upright in anodized aluminium, clear acrylic pocket. Dimensions: 35x115h cm ALWAYS AVAILABLE FOR PROMPT DELIVERY For more information, call 049.8710777 o compila il modulo sottostante. 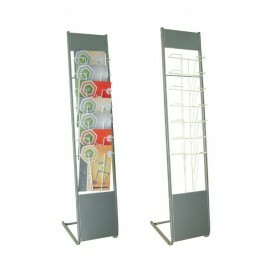 Description: Is a self-supporting floor with Exhibitor Brochure holder 4 pockets 111932 to A5. Round base painted silver, aluminium upright pockets made of transparent acrylic. EXTERNAL DIMENSIONS: 30x30x109h cm ALWAYS AVAILABLE FOR PROMPT DELIVERY For more information, call 049.8710777 o compila il modulo sottostante.